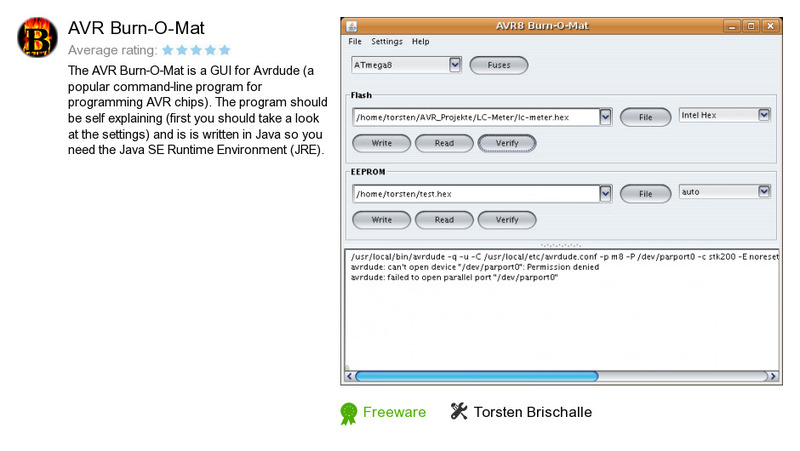 AVR Burn-O-Mat is an application developed by Torsten Brischalle. We know of version 2.1. Version 2.1.2 is available for download at our site. AVR Burn-O-Mat installation package has a size of 1,697,251 bytes.